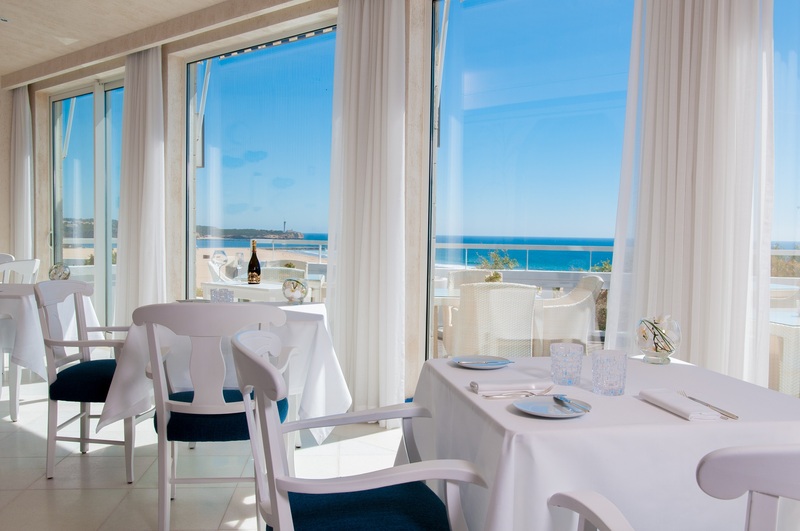 Set within the 5* luxury retreat of the Conrad Algarve in Quinta do Lago, Gusto is led by Head Chef Daniele Pirillo. Born in Varese near Milan, Daniele’s passion for cooking was inspired by his mother, assisting her at home after school to prepare homemade pasta and special Italian recipes like Ossobuco and Tiramisu, and risotto and saffron-based dishes. Daniele brings his extensive fine-dining experience to the restaurant following a professional culinary journey across several prestigious Michelin-starred restaurants including the 3-star Le Calandre, 1-star Pascia and more. He has also previously worked alongside the consultant chef of the restaurant, Heinz Beck, at his restaurant, the 3-star La Pergola. Combining vibrant Mediterranean cuisine with a pioneering Scandinavian-style design, the menu offers a modern flair to traditional inspiration – from the finest steaks to the freshest seafood, the plates at Gusto offer finesse and sophistication. Gusto’s interior has an open kitchen and offers al fresco dining on a beautiful terrace with views across the hotel’s infinity pool. At just 29 years old, Chef João Oliveira is taking the culinary world by storm in leading the Vista Restaurante at the Bela Vista Hotel and Spa. The restaurant, set to reopen on the 2nd March after the holiday season is set within the Bela Vista Hotel, a charming historic building with an outlook of the most remarkable view out to the cliffs of Praia da Rocha. 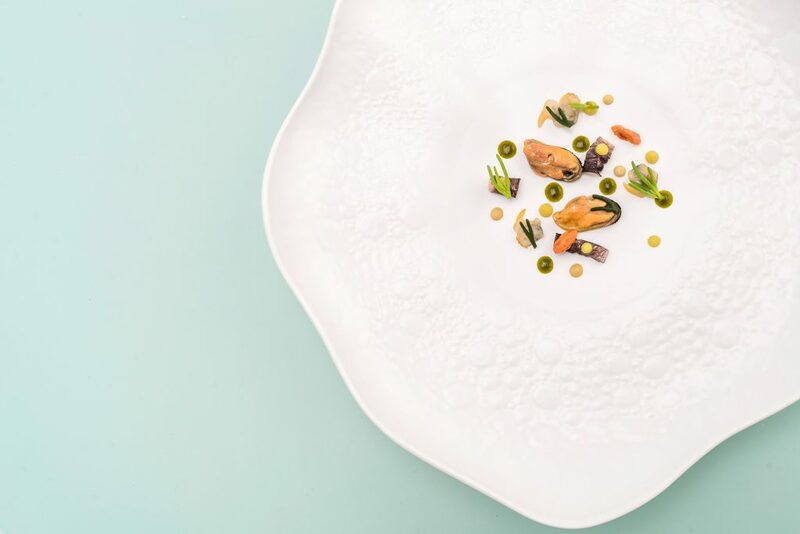 Combining inspiration from his native area of northern Portugal and Mediterranean cuisine, Oliveira’s menu is an experience for the five senses featuring fish, seafood and local produce, all prepared to a contemporary design. The plates offer a memorable journey of Portuguese flavours, there to enjoy in the stylish dining room, with calming shades of blue and white that emulate the ocean beyond. The Bon Bon restaurant is a warm, rustic-contemporary setting with a kitchen fronted by Michelin-starred chef Rui Silvestre. 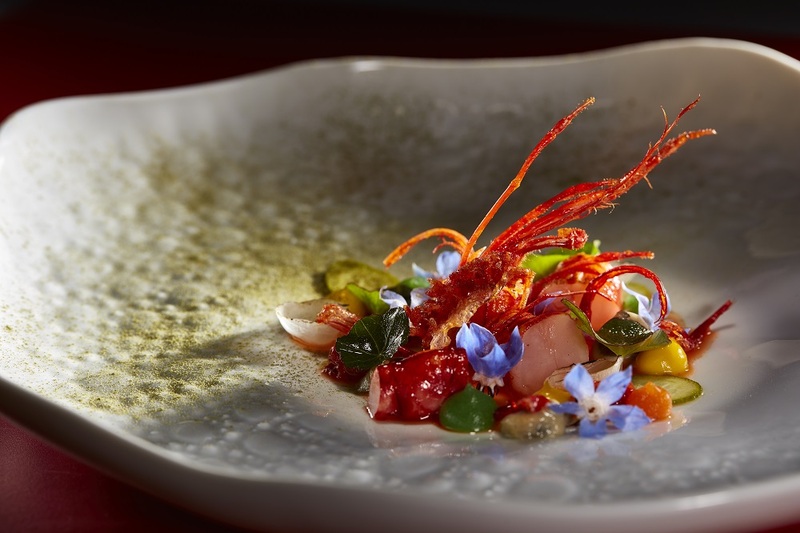 Awarded a Michelin-star in 2015, the plates are works of art and extraordinary to taste, offering visual splendor of vibrant colours, each crafted with tremendous detail. The menu credits traditional ingredients, with the seasonal dishes focusing on seafood, locally sourced fish, meat and vegetables. Examples of dishes include Poached St Peter’s Fish with Fennel, White Asparagus, Oyster and Mint age and Pluma of Alentejo Black Pork with clams and Pata Negra cured ham. The restaurant reopened following the holiday season in February 2018. Vila Joya (originally translated to ‘House of Joy’ or ‘Jewelry Box’ is set within a beautiful boutique, oriental palazzo that is situated on the Atlantic Coast in the municipality of Albufeira. Enveloped by palm trees, cypresses and vibrant flora, the restaurant offers a verdant vista making for a tranquil dining experience. Run by Chef Dieter Koschina, the restaurant’s menu combines local produce of the region, applied with northern European cooking techniques. The result is a range of dishes that are distinct in their taste, appearance and their style. Guests of the hotel and restaurant can indulge in dishes such as Guinea Fowl stuffed with Black Truffles and Artichokes, and Roasted Goose Liver served on a Broccoli Puree with Smoked Eel. You grasp the wonderfully unique concept of the restaurant the moment one walks through the door, with an interior of dove grey and blue shades and a striking wall, expanding across the back of the room displaying a collection of large white sea shells. The wide bay window with a panoramic view over the Atlantic also adds to ocean-inspired setting. Reopening on the 28th February, the kitchen is guided by Executive Chef Hans Neuner, offering a gastronomic voyage through its menu that aims to offer the finest local ingredients. 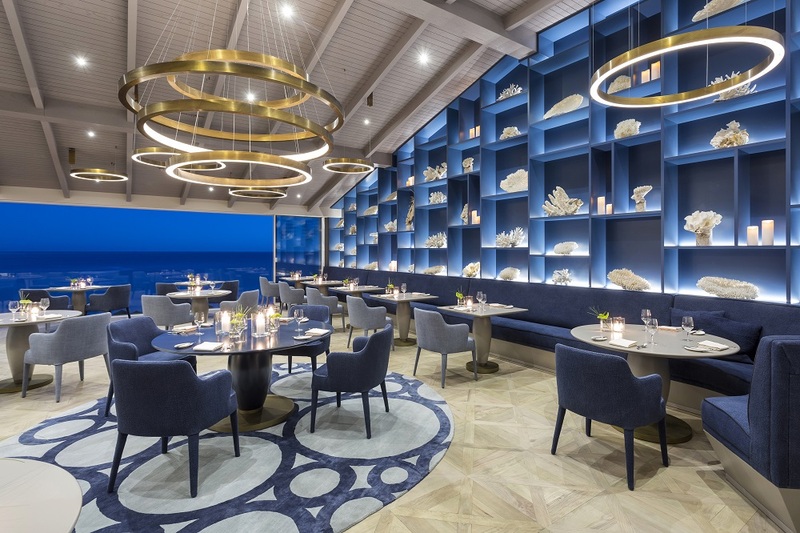 The opulent dishes respect the region’s produce – incorporating fresh fish from the coastal towns and herbs from the hillside and valley municipalities. Guests can appreciate the flavours of dishes like the Octopus with Bell Peppers, Cucumber and Fennel, and the Red Bream with Corn from Aljezur, Xerem and Shellfish. For those who enjoy a meat-based meal, dishes like the Imperial Pigeon with Pumpkin, Black Truffle and Medronho are also available. Willie’s restaurant is set in a perfectly idyllic location, next to the Pinhal Golf Course in Vilamoura. Led by Willie Wurger who was crowned a Michelin star in 1989, the restaurant is the perfect choice for a romantic supper, with soft gold furnishings that make for a truly regal setting. The modern menu that takes more of an international cuisine-inspired approach demonstrates the exceptional skill and passion behind the creation of each dish. Specialties include Willie’s Homemade Seafood Ravioli in a Vermouth Cream Sauce, Pan-Fried Medallions of Monkfish on a Mustard and Shallot Sauce with a Herb Tagliatelle, and Willie’s Lemon Crème in a Sugar Basket with Berries. Greeted by a warm, rustic interior, Henrique Leis’s restaurant is a gem that offers an intimate, cosy and traditional dining space. 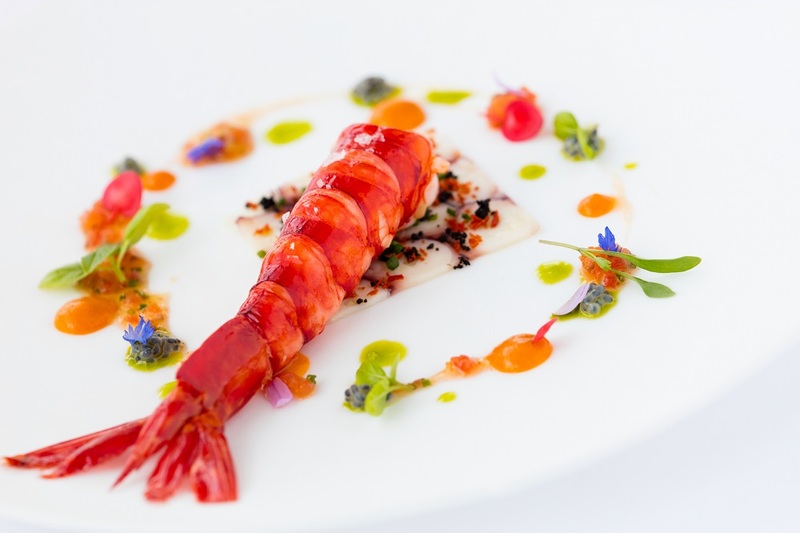 The menu offered at the restaurant is cosmopolitan and contemporary but is also heartfelt with each meal created with a personal touch, showcasing Henrique’s deep French roots that hark back to his time working with renowned names in the culinary world from Pierre Gagnaire and Gaston Lenotr to Paul Bocuse and more. The tasting menu at the restaurant is polished, serving Egg ‘a la Coque’ with Smoked Caviar, Lobster from the Algarvian Coast with a Risotto Gel and Guinea Fowl Supreme stuff with Foie Gras for examples. Part of the Sao Gabriel charm is its unassuming location of a delightful farmhouse, ideally located on the roads between Quinta do Lago and Vale do Lobo. Upon entry, guests find themselves entranced by the graceful interiors and la belle Orleans style. 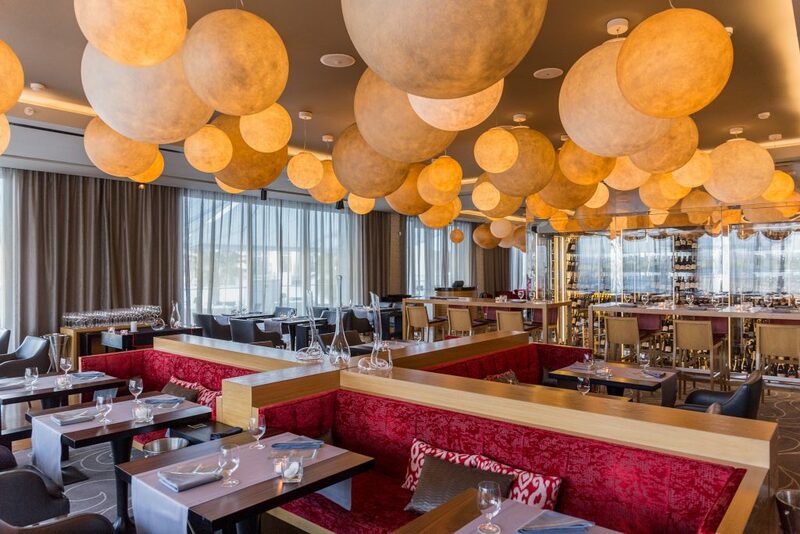 Led by Chef Leonel Pereira, most of the creations on the menu include fresh fish from the Atlantic sea. The menu is bold, vivacious and combines the concept of a traditional Portuguese dishes with flavours that are typical of the Algarvian region, offering distinct flavours whilst preserving authenticity. Three menus are on offer at Sao Gabriel: the a la carte menu, the contemporary menu and a seasonal menu. 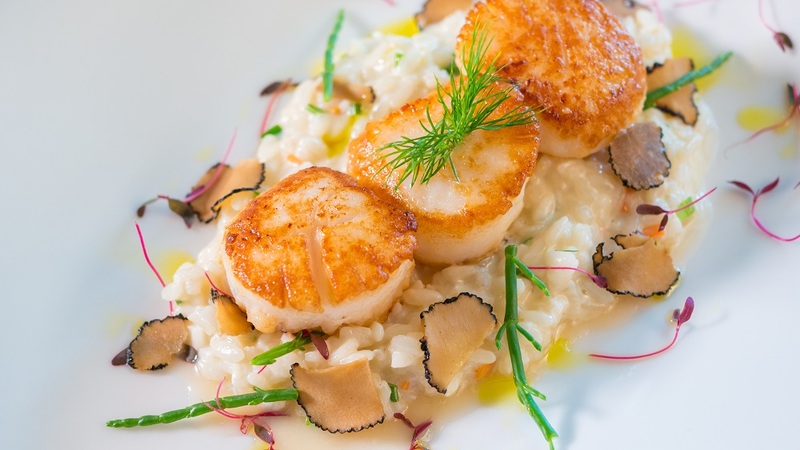 Examples of dishes across the three include Lamb Tenderloin, Cep Mushrooms, Artichoke and Watercress, Clams Chowder with Oysters, a Corriander Pesto and Lemon Caviar, and Blue Lobster Risotto with Asparagus from the Sea (Samphire) and a Plankton Soufflé. Leonel Pereira’s winning formula is: tradition, freshness, innovation and taste.